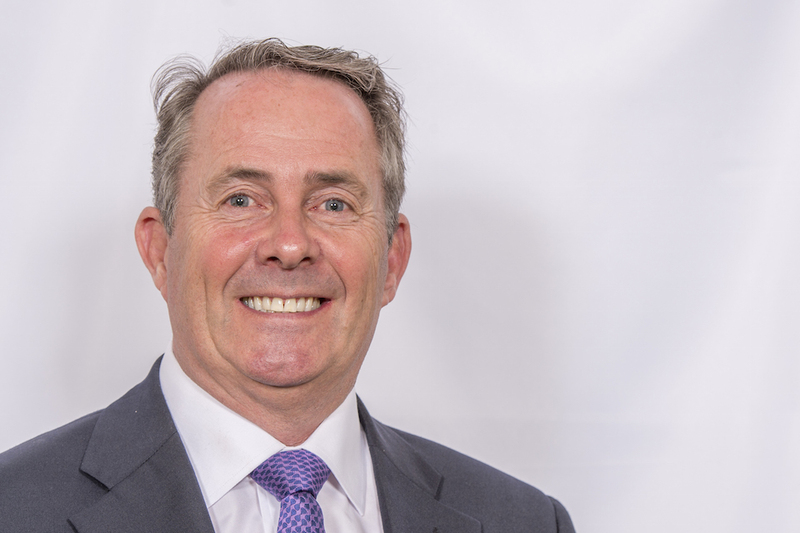 Below is the text of the speech made by Liam Fox, the Secretary of State for International Trade, on 25 July 2018. Good afternoon. It is a pleasure to be back in Washington. I would like to thank our hosts, the Heritage Foundation, for inviting me to address such a distinguished gathering, on a topic that is not only close to my heart professionally, but more politically relevant than at any time in the past thirty years. In my first speech as Secretary of State for International Trade I set out the case for an open and liberal trading environment. That speech was in Manchester in the North of England – home of the Industrial Revolution, and a city with iconic associations to free trade. That was nearly was two years ago when trade barely registered on the radar for most of our media. How different things are today when trade is front and centre of the international political debate . The disputes between the US and China, around NAFTA, steel and aluminium tariffs, and the UK’s future trade agreement with the European Union are the most talked about issues of the day. It is therefore a good time for us to examine both our attitudes to trade from first principles and to measure them against our domestic priorities and international obligations. It was just over 240 years ago, on 9 March 1776 that Adam Smith published the Wealth of Nations. It set out the principles for the emerging world of global commerce at the end of the eighteenth century with a vision of what trade could produce in terms of prosperity and opportunity. He countered the dominant mercantilist viewpoint – revolutionary in its time – and the case he set out is just as relevant today. Indeed, he reminds us still, that the essential element of a successful trading system is mutual benefit. David Ricardo took these principles of free trade forward when, in 1817, he published the theory of comparative advantage. Building on Smith a generation before, Ricardo described the economic reality of the gains from trade and demonstrated how free and open trade is profitable to all. It is one of the most powerful concepts in economics, described by the economist Paul Samuelson as the only proposition in all the social sciences that is both true and non-trivial. It remains, to this day, the most fundamental justification of the power of free trade. Now of course, since those days, since 1817, the world has changed beyond all recognition, yet the experiences of globalisation, and of technological advances unimaginable in Ricardo’s time, have only served to validate his theory. The principles of free and open trade have underpinned the multilateral institutions, rules and alliances that helped rebuild post-war Europe and the world beyond. They helped usher the fall of communism and the tearing down of the Iron Curtain; they facilitated 70 years of global prosperity, and they have raised the living standards of hundreds of millions of our fellow human beings across the world. Indeed free trade has allowed us to take 1 billion of our fellow human beings out of abject poverty in just one generation – one of the great achievements in history. Just as predicted in the early theorising by Smith, Ricardo and others, time and time again we find a strong positive correlation between economic openness and growth. During the 1990’s, per capita income grew three times faster in the developing countries that lowered trade barriers than in those that did not. That effect is not confined to the developing countries, either. The OECD Growth Project found that a 10 percentage-point increase in trade exposure was associated with a 4 per cent rise in income per capita. Free trade works. Globally, as free trade has blossomed, poverty levels have fallen to their lowest in history: bringing industry, jobs and wealth where once there was only deprivation. Trade liberalisation gives consumers greater choice, and the competition it unleashes brings higher quality and standards at lower prices for everything from food and drink to toys and cars. Free trade provides developing countries with the opportunity to embrace the international trading system, to integrate into global value chains, and ultimately to grow their economies. But the effects of free and open trade go further than simple economics. This is particularly true in the era of globalisation and will become even more so in the future. I have already mentioned the fact that free trade has already allowed us to take 1 billion of our fellow human beings out of abject poverty. But trade is not an end in itself. It is a means to spread prosperity. That prosperity underpins social cohesion. That social cohesion in turn underpins political stability, and that political stability is the building block of our collective security. It is a continuum that cannot be interrupted without consequence. If prosperity is denied to those who aspire to it – and free trade is a key enabler of this – we should not be surprised if the result is further mass migration across the globe or indeed political radicalisation. Those of us, the world’s richest countries, who have done well from a global free trade system cannot simply say ‘we’ve done okay’ and pull the drawbridge up behind us without having to pay a price. There are many arguments in the worlds of politics and economics that will never be settled – just as well for the politicians and journalists here today – and are as much a matter of interpretation as they are objective data. But the effect of protectionism is as close to settled science as anything in economics will ever be: it means reduced productivity gains and lost economic growth. Long run historical trends suggest that a 20 per cent reduction in trade holds back productivity by around 5 per cent. And worse, in a world of globalisation where interdependency is increasing and where disruptions in one part of the world can quickly ricochet around the rest, our ability to act unilaterally with impunity is diminishing by the day. The 2008 financial crisis was just the latest example of how economic earthquake in one part of the globe can soon be the financial tsunami for the rest. We, today, are at an important juncture in the history of free and open trade, and of the established international order. In many ways, the picture is actually a positive one. After several years of relative stagnation, the growth in global trade is once again outpacing the rise in global GDP with trade predicted to grow by 4.5 per cent this year with GDP growing by 3.8 per cent. The global economy continues to rebound from the dark days of the financial crash and ensuing recession experienced by many large economies. Yet it is also a reflection of how globalisation and new technology continue to facilitate trade, and the irrepressible growth of the digital and knowledge economies – sectors which hardly existed even two decades ago. And this is perhaps the root of our current paradox which is this: we have seen the benefits of free trade at home and abroad. We are seeing a rise in living standards and a reduction in global poverty. We are witnessing our innovative industries achieve global dominance. Who, 20 years ago, could ever have imagined the global impact of Google, of Facebook or of Amazon? Who would have believed how cheaply we could access the newest electronic gadgets from mobile phones with more computer capacity than the Apollo programme, or the latest high definition TVs at seemingly evermore affordable prices? Yet, even with all this evidence of the success of our own economic beliefs, the public, especially in the world’s richest countries, are seemingly questioning the benefits of a free trading system with politicians seemingly caught in a crisis of self confidence in what was once an article of faith for many. Perhaps at least part of the explanation lies in the rate of change and reorientation of our economies and the fear of actual and potential displacement felt by many workforces. In Britain we have seen industries like coal mining all but disappear, but new service industries and modern manufacturing take their place, including the growth of renewable energy. In areas such as steel production we have seen new technologies enable us to produce the same output with far fewer employees. It is, and will be, new technology that will be the major disruptive force in our economies. We will best serve both our economies and our workforce not by turning our back on free trade, but by ensuring that we can provide mitigation for those who bear the brunt of change by providing the necessary economic support, especially in re-skilling, retraining and education. Change is coming and we must embrace it – for our global competitors certainly will – but we must also be willing to reach out that helping hand to the men and women in our countries who will most feel the winds of change and use our skills, our experience and our knowledge to maximise the benefits for the generations to come. We can bring prosperity and revival to some of our challenged industrial communities as they transition to new patterns of work as they have always done. From the agricultural age to the industrial revolution, to the rise of the knowledge economy, change is forever with us. Rather than seeking to avoid the realities of the globalised economy, we should ensure that its rising tide lifts all boats. To do so, we require a set of global rules that are transparent, robust and enforceable and institutions that are credible and accountable. Despite its flaws, trade specialisation and innovation, largely as a result of globalisation, has spawned a productivity revolution through increased competition, economies of scale and global value chains. When this is combined with the effect of liberal values of meritocracy, democracy and the rule of law, it can create a tidal wave of innovation and creativity. It is no coincidence that the United Kingdom and the United States are among the world’s most innovative economies, while those with more authoritarian regimes are only now beginning to catch up as centralised planning at least in some cases gives way to individual creativity. In the twentieth century, one of the products of the influence of the US and the UK in particular was the creation of the WTO. From the founding in the aftermath of the Secord World War of the General Agreements on Tariffs and Trade, the WTO emerged as the home of the rules-based international trading system, and the repository of those free trading values that have underpinned global growth and facilitated more formal trading agreements. It is worth remembering that these rules, and the WTO itself, are not an external imposition on our economies, but were largely shaped and codified by the work of successive US and British governments. In 1948, our nations were founding members of the General Agreement on Tariffs and Trade. In 1986 it was the US, under President Reagan, that launched the Uruguay Round of multilateral negotiations that led to the establishment of the World Trade Organisation. The United States has been at the heart of the WTO since the very beginning. Of course, the system that we established in 1995 is also in need of some refurbishment. After all, the global economy is now driven by advances in technology that were embryonic in 1995.
Who could have foreseen, for example, the rise of the digital economy? Or how knowledge and data have become so valuable? Or the blurring between goods and services? Just imagine the concept of selling a digital code on the internet to build something on a 3D printer. It would have sounded like science fiction when the WTO began. The structures of the international system may not have caught up with the modern world. But that is cause for reform and renewal, not rejection. The UK and US are ideally placed to work together to modernise, and make the international rules-based trading system work better, so the benefits of free trade can truly be felt by all. Above all, the WTO remains the way to ensure that a level playing field is created and maintained between the major actors in international trade but its rules must be enforceable and the actions of its members fully transparent if confidence is to be maintained. All of this is occurring in a period of rapid change in the patterns of global trade. The thriving economies of South and East Asia and, increasingly, Africa, are, and will become, ever more important as their newfound prosperity drives demand for the goods and services from more advanced economies, like the UK and the US. The sheer scale of the change that is underway is often difficult to grasp from here in the West, in countries which have long enjoyed economic and political dominance. Twice this year I have been in the Chinese city of Shenzhen. When Britain handed Hong Kong back to China in 1997 Shenzhen had a population of 5.2 million. Today it has a population of nearly 12.5 million. By 2030 China is expected to have more than 220 cities with a population of more than a million. The whole of Europe has 35. And on top of the vast Asia-Pacific growth it is predicted that there will be 1.1 billion middle class Africans by 2060. We are living through a period of profound and stunning change. Such a shift, not just in global demographics, but in the rise of the collective wealth of developing countries, will determine where the golden economic opportunities of the future will be – and where we must be too, if we are to provide jobs and prosperity for our peoples in the future. Within a rapidly changing world, the trading relationship between the UK and the United States remains a consistent source of stability and prosperity. And it is our two nations that have the opportunity to negotiate a trailblazing, modern free trade agreement. Because we both fundamentally believe in trading and commercial freedom, our interests are not in opposition to other countries – trade between us is not a zero-sum game. The UK is the largest source of Foreign Direct Investment into the USA, with around $560bn of holdings here – more than France and Germany combined and 30 per cent more than Japan. Our investment is also twenty times the investment from China, and thirty times that of Mexico. British companies employ over a million workers across every state in the Union, from Ohio and Pennsylvania to Florida to California. I don’t know if we have any Texans here today, but more than 107,000 people in the Lone Star State are employed by UK firms and I wonder how many of them understand that. Likewise, American firms employee huge numbers of British people. We have more than a trillion dollars invested in one another’s economies – probably the most interdependent investment relationship on our planet today. Yet we are also on the threshold of a renewed trading relationship that will further enrich both our nations. For the first time in more than four decades, the United Kingdom will have an independent trade policy required to forge closer ties to our closest economic partner, through an ambitious free trade agreement. It is an unprecedented opportunity for an ambitious and future-proof framework for our bilateral trade. We must not let it pass us by. Likewise we must not fail to take the opportunity for global leadership in the areas where we already excel, particularly in trade in services and especially financial services. The UK and the US host the two leading global financial centres and are at the forefront of innovation. Our deep and broad relationship on financial services is a cornerstone of the modern global economy. We should make it even easier in the future for businesses to operate across the Atlantic through frictionless trade. Fundamentally, our close economic ties are underpinned by the strong personal links that tie our two peoples. We share a common language, mostly, but also the ties of history, and even more importantly of values. We must also be linked by our shared ambition to shape the global economy in ways that match our shared interests. It is not just in our economic interests but in our strategic interests for the long term. For the past century our two nations have stood shoulder to shoulder against mankind’s gravest security threats. We have saved Europe in the 20th century from the twin scourges of Communism and Fascism. We must have the optimism and self confidence now to shape it for the future: free markets, through free trade, for the benefit of free people. There is no greater prize than that.